The Owls have clinched a bye as the fourth seed in the conference tournament. The Owls (35-20, 15-9 Conference USA) earned a first round bye and will have to wait to see who their next opponent will be. The tournament is set to begin Wednesday, May 10. 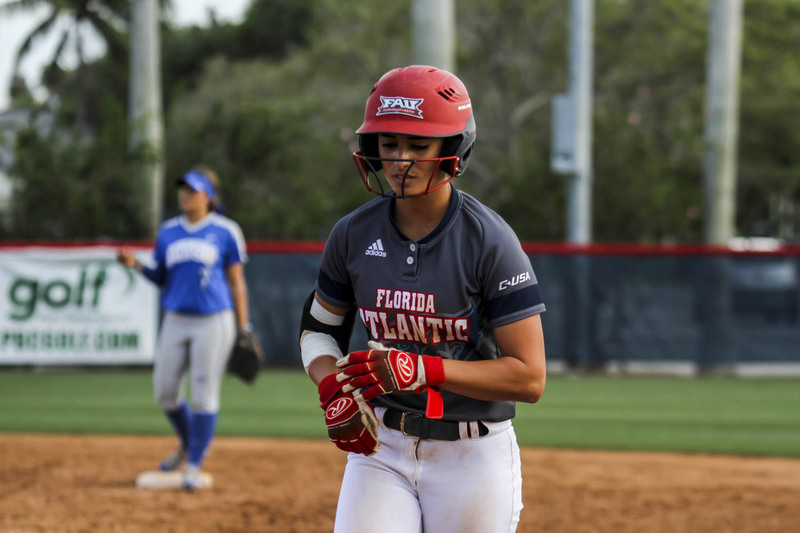 Junior Alex Miller put the Owls on the board in the top of the first with a two-run single that scored junior Emily Lochten and sophomore Madisyn Palmer. 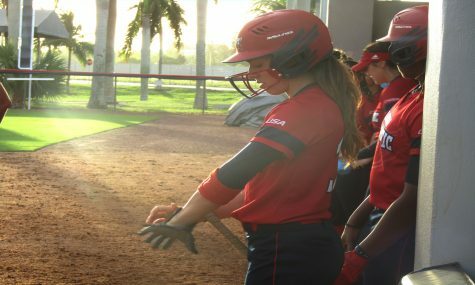 Miller grounded out in the third inning to drive in Palmer and push the FAU lead to 3-0. Sophomore Mia Olson soon followed with a two-run shot to left to stretch her team’s lead to 5-0. 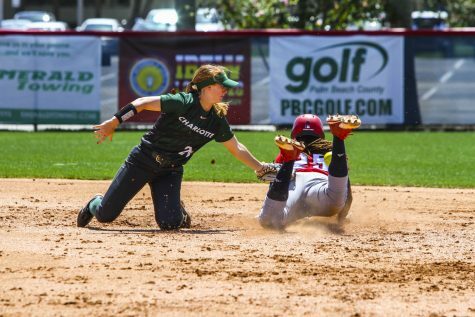 However, the Miners scored four runs in the bottom half of the frame to pull within a run 5-4. In the top of the fourth, Lochten smacked a solo home run and Tatum Buckley singled in Rickey to ice the game. Miller went 3-for-4 with three RBIs, while Madisyn Palmer and Delaney Rickey both went 2-for-3 and scored twice. 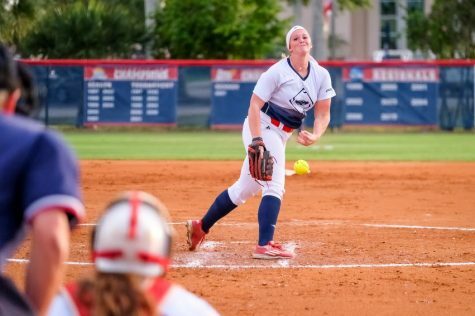 Senior Amanda Wilson gave up 10 hits, but just two earned runs to pick up her 15th win of the season. FAU got out to another early lead in the second game, scoring two runs on a Miner (12-36, 6-17 Conference USA) error in the top of the first. 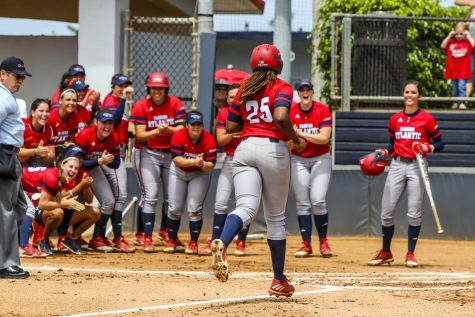 UTEP answered their mistake with three runs in the bottom of the inning to take a 3-2 advantage. Lochten then led off the third inning with an infield single. Buckley drew a walk before Miller drove both of them in on a triple down the right field line. Miller finished with two hits, two RBI and scored twice. Olson followed up with a base hit that allowed Miller to score and give the Owls a 5-3 lead. 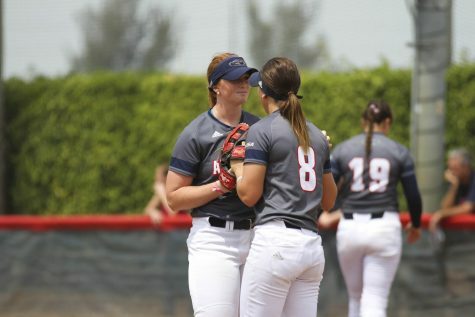 Two singles and two UTEP errors later pushed FAU’s lead to 7-3 in the top of the fourth. 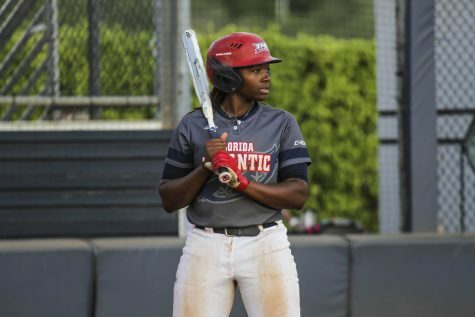 Lochten and Rickey had RBI hits in the top of the fifth and FAU increased its advantage to 9-3. UTEP led off the bottom of the inning with back-to-back homeruns, and another run scored later in the frame to cut the margin to 9-6. 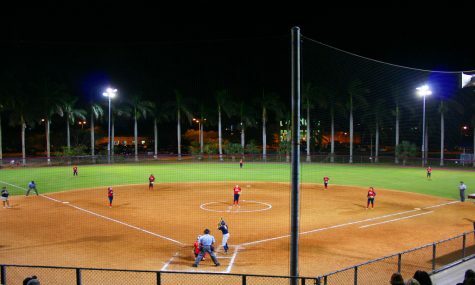 Both teams scored a run in the sixth and the Owls added one more in the top of the seventh, making the score 11-7. UTEP scored in the seventh and had the tying run at the plate with one out, but a popup and groundout ended the game. Lochten had three hits an RBI and scored a school record five runs in the game. Rickey singled and drove in three runs, while Palmer also added two hits and scored twice. 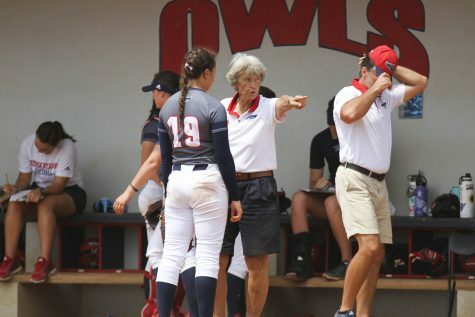 UTEP jumped out to an early 3-0 lead after the third inning, but the Owls pulled one back in the fifth when sophomore Summer Damiano scored on a single by sophomore Lauren Whitt. 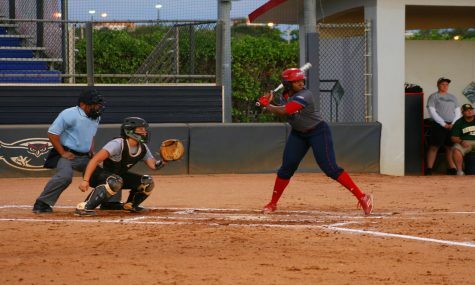 The Miners would score three more times, but FAU began to rally back in the seventh. 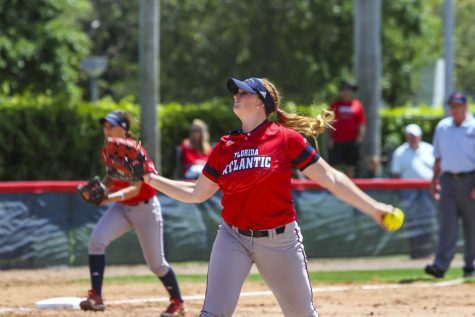 Whitt would get the comeback attempt started, as Lochten and Peck each added a run to cut the lead 6-4, but the Owls could not muster any more runs as they fell short. Palmer, Miller and Whitt each finished 2-for-3, and Lochten was 2-for-4 with a run and an RBI.